General Motors just announced a partnership with Japanese company Teijin that they hope will lead to lighter weight and more efficient vehicles. Teijin is an advanced materials company that specializes in carbon fiber and recently released information about their proprietary process that allows carbon fiber sheets to be produced in under a minute. Traditionally, carbon fiber was reserved for only high end automobiles as it takes a long time to mold. With Teijin’s new quick molding technology and General Motor’s drive to make more efficient, mass-produced vehicles, this partnership could lead to a revolutionary increased efficiency in everyday cars and trucks. “Teijin’s innovative CFRTP [carbon fiber-reinforced thermoplastic] technology, which promises to realize revolutionarily lighter automotive body structures, will play an important role in GM’s initiative to bring carbon fiber components into mainstream vehicles,” said Norio Kamei, senior managing director of Teijin. 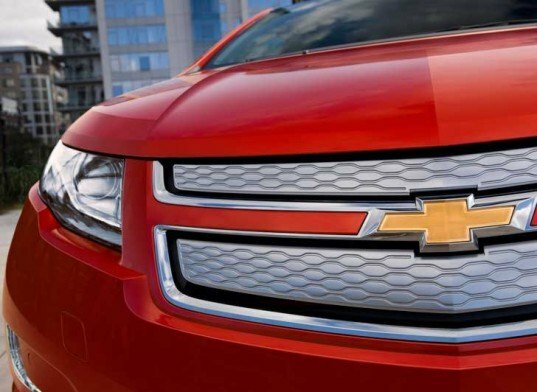 “We believe our visionary relationship with GM will lead the way in increased usage of green composites in the automotive industry.” Carbon fiber is 10 times stronger than the steel generally used for vehicle frames and bodies but is a mere 1/4 of the weight. Teijin’s new technology produces carbon fiber-reinforced thermoplastic components that GM believes could be suitable for vehicles in a one minute cycle. This quickness of production is what will allow carbon fibers to finally make it into the mainstream vehicle world. Up until now they’ve generally been reserved for very high end vehicles and race cars. Reducing vehicle frame and body weight is known to be one way to increase vehicle efficiency, and whether you want a car to go further on a gallon of gas or a charge of its battery, reducing the amount of weight the engine has to move will help. In addition to being lighter, carbon fiber is one promising material that doesn’t sacrifice safety while shedding the pounds. The fact that it is stronger than conventional vehicle frames and body materials means consumers don’t have to sacrifice safety for efficiency. How recyclable is carbon fiber? Although aluminum is a bit heavier, it is also highly recyclable, and old cars can be melted down into several new products. Are we setting the next generation up for even faster growing landfills? General Motors just announced a partnership with Japanese company Teijin that they hope will lead to lighter weight and more efficient vehicles. Teijin is an advanced materials company that specializes in carbon fiber and recently released information about their proprietary process that allows carbon fiber sheets to be produced in under a minute. Traditionally, carbon fiber was reserved for only high end automobiles as it takes a long time to mold. 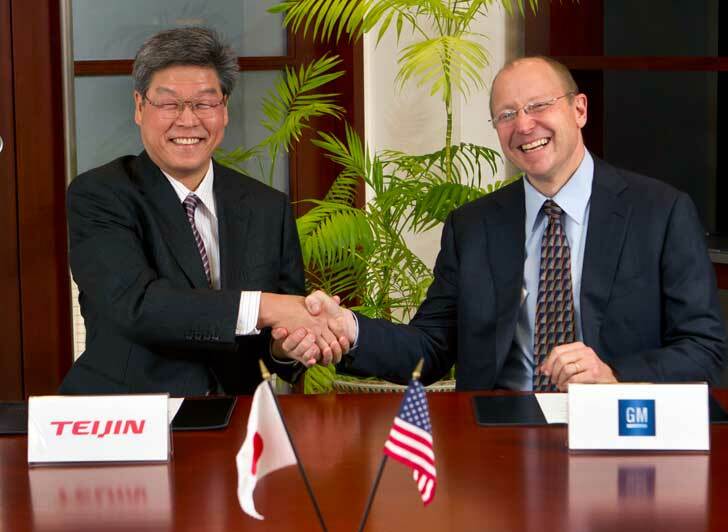 With Teijin's new quick molding technology and General Motor's drive to make more efficient, mass-produced vehicles, this partnership could lead to a revolutionary increased efficiency in everyday cars and trucks.